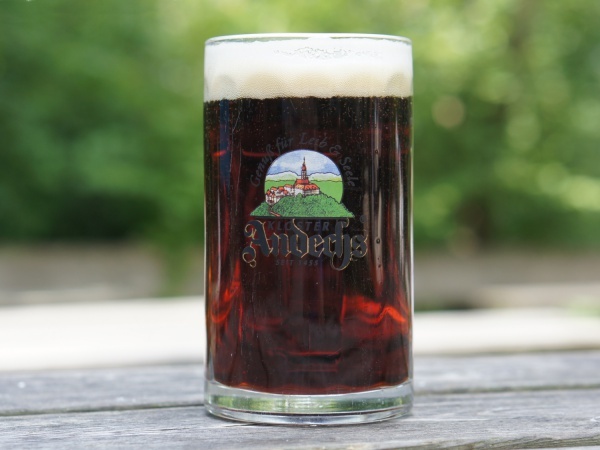 The Emminger Hof beer garden is located in the Benedictine cloistral village St. Ottilien, about 40 kilometres west of Munich. The monastery complex is surrounded by fields, meadows and forests. The monastery was founded over 100 years ago. The abbey is partly enclosed by monastery buildings. Next to the church is a museum with artefacts collected over 120 years during missionary work in Africa and Asia. On the monastery ground there is also the baroque church of the Emminger estate, the only partly preserved Emminger Castle, a guest house, a sewing machine museum, a grammar school and internat. The monks of St. Ottilien cultivate about 200 hectares of land. In addition to farming, they also raise cattle, pigs and chickens. Fruits and herbs grow in the cloister garden. A butchery and bakery processes the produce on location, part of which is sold in the cloister shop. The beer garden has about 800 seats and is divided in a self-serviced and waitress area. Guests of the self-serviced area can either sit on regular tables and chairs in the shade of large, yellow sun umbrellas or on one of the 33 fixed-to-the-ground benches in the shade of old maple trees. The food stall offers fresh products from the cloister butchery and bakery, such as Schweinebraten (pork roast), Hendl (grilled chicken), sausages, Obatzda (Bavarian cheese creation) and Auszogne - a kind of Bavarian doughnut. A separate stall prepares Steckerlfisch (grilled fish on a stick) over charcoal. The beer sold is Andechser from the tap and a Maß Hell (lager) costs €6.40 (May 2017). A highlight of the beer garden is a large barbecue station, where guests can grill meat they way they prefer. The grill can be used from Thursday to Sunday from 5pm. The marinated meat can be bought at the food stall. Depending on the weather the beer garden is open daily from 9am to 11pm. This page was last modified on 18 May 2018, at 18:46.